Established in 2008, 4d88.com is a free and simple lottery report site that giving results update for Malaysia & Singapore region. The story behind 4d88.com was started back to 2007, 4D88 founder was a tech geeks and his dad was a typical 4D Kaki, a person who play lottery on a regular basis, the major problem on lottery aggregator site back in the day was small text and long url. So the founder created a customized simple site with large text and squeezing 3 major results (Damacai, Toto and Magnum) into one page, it is a simple 1 day project. And Voila! No more wearing old man glass when checking 4D results :). After 8 years of growing 4d88 is getting bigger, more fans. We had achieved over 200 thousand authentic Facebook likes without going through any marketing or buying "like" campaign. This making us one of the Malaysian largest 4D social group in 2016. In Oct 2016, 4D88 has changed ownership to new software enthusiastic group, hopefully this will brings new changes and new life to 4d88.com. Original founder will shift away and involve in something bigger and beyond 4D88, but also will stay as system advisor for the 4D88 team. Again 4D88 is power by philosophy of "passion from hobbyist", Nothing is change in our core after ownership switch. Deep in our heart, we still remember we start from 200 visitors a month. Also we would like to thanks some blogger that giving us free support in 2008. We are not perfect, but we care! 4D88 has been completely rebuild based on cleaner code and running on star topology which mean each nodes will exchange information with each others to give the fastest output. 1) It was able to run as standalone server on cheap RM40 Arm CPU, the same processor for DVD player and able to accept up to 9k-12k concurrent connection per server on landing page. 2) The test on credit card size computer to explore billboard capability. 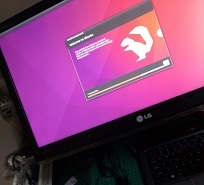 3) The test on difference OS including Arm based OS, Windows, Ubuntu and Centos. 4d88 wish you good luck, have fun, and please make sure it should not adversely affect your finances or lifestyle.